Considering it’s almost time for Christmas with the Queen again, I thought it would be a good time to revisit this look Meghan Markle wore last year! What’s even better? Her gorgeous beige coat is back in stock! 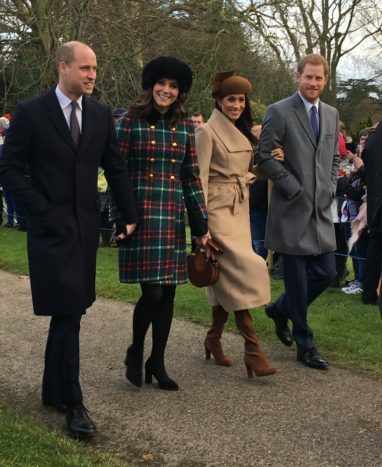 For the special occasion, the soon-to-be Duchess of Sussex wore this Sentaler wrap coat with a mix of cognac accessories to include Stuart Weitzman Hiline boots, a Chloe Pixie mini bag, brown leather gloves and a matching hat. A classic neutral coat like this is such a wonderful wardrobe staple – I wouldn’t be surprised if we see her in this again sometime soon! It’s a color that pairs well with everything, and is a style she can totally still wear with a baby bump. While the Sentaler coat is pricey, I believe it’s a worthwhile investment you’ll wear for years! While Meghan’s exact boots are only available in a size 11, I found a nearly identical pair for a lot less here! My friend actually bought these and wore them last weekend, and they are FAB. Meghan’s Chloe bag is also still available, but not in her exact color. 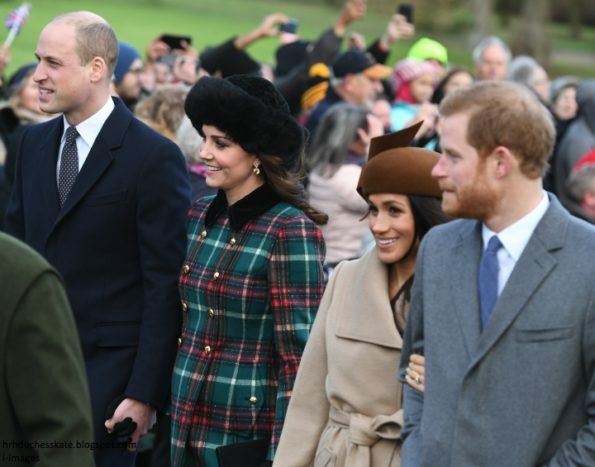 As always, there was a bit of controversy last year when Meghan was invited to Christmas. She was not yet married into the royal family, and apparently the Queen never invited Kate until she was married to Prince William. To be fair, Kate’s family lives just a stone’s throw away and she was able to spend the holidays with them. 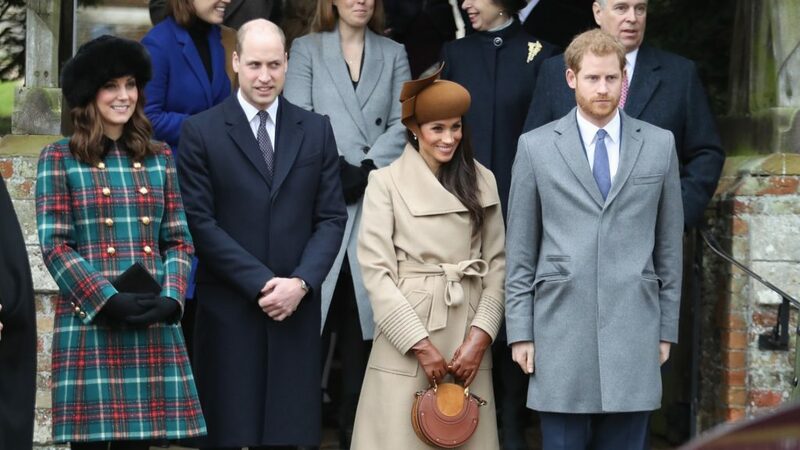 Meghan on the other hand, doesn’t have any family members in the UK – I think it was a very nice gesture for her to be included last year. This year it is reported that Meghan’s mother, Doria Ragland, has been invited and will be joining the royal family for Christmas celebrations. I don’t know about you, but I’m really hoping for a Christmas card from the newlyweds, and at least a few outings so we can get a “bumpdate”!